PAT Time tomorrow for students who are respectful to our substitute teacher and who finish today’s work. Click HERE to open the directions for Argumentative Writing Seeds. Write your response at the top of your English Journal. Title the entry Weekly Pages 11. 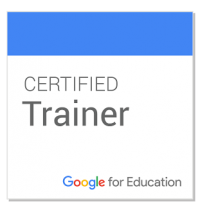 If you finish early, refer to your Weekly Work Chart in Google Classroom for what to do next. 3) If You Finish ALL assignments from Weekly Work Chart, Choose from What to Do When You Are Done in the right sidebar. Tuesday, February 13: Writing Seed 1–How Should Parents Handle a Bad Report Card? Goals: Catch up on missing or incomplete work. Use cognitive strategies to read and analyze an article from The New York Times Learning Network. 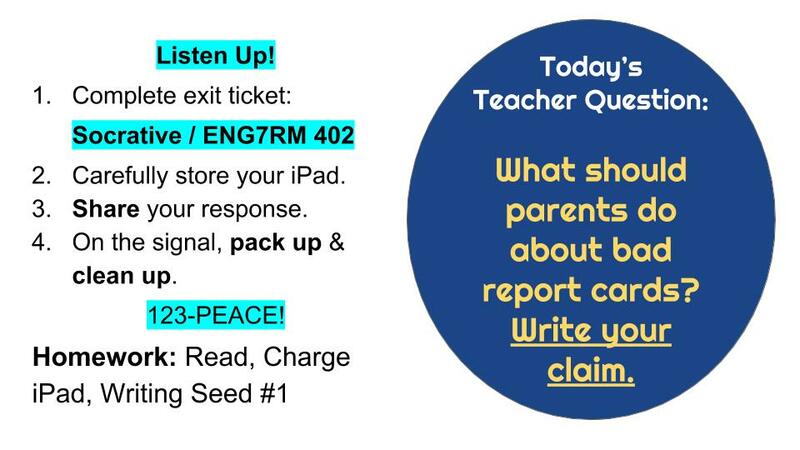 Write an argumentative “writing seed” in response to the question “What Should Parents Do About a Bad Report Card”? Substitute Tomorrow: Writing Seeds #2 and #3 in Weekly Pages 11–PAT Time for those who finish. Go to Google Classroom to open your own copy of the Weekly Work Chart. Take a few minutes to write the assignments you still need to complete. 2) Writing Seed #1: What Should Parents Do About a Bad Report Card? Click HERE for the exit routine.